YouTube is the biggest repository of videos in the world. From funny cat videos to college-level lectures, there’s nothing you can’t find on it. It’s a knowledge library, a social platform, and to some, a ticket to stardom. The great thing about YouTube is that anyone with an idea and a little follow-through can create and upload their content. While the ubiquitous smartphone is technically all you need to make videos, not investing in the way your content is presented will ensure that you remain in obscurity. You need to have the right equipment to create engaging YouTube content people will demand to see more of. The list might seem scary at first, but putting the basics together is straightforward and inexpensive. Learning how to use your new microphone, camera etc. just takes some practice and is made easier by thousands of helpful videos you can find right on YouTube! In this guide, we take a closer look at what equipment you need to start your channel off on the right foot. Each category has sections for each equipment sub-type featuring its description and best use along with recommendations. When you’re done, you’ll have a good overview of the essentials and can start putting together your own professional setup. Whether you’re just planning to stitch a couple of takes together or create content without using a camera at all, you need a computer to assemble, edit, and store your work. You probably already have a computer and will be able to perform any editing task on it without trouble if it was made in the 2010s. Even so, there are compelling reasons to upgrade. If you’re focusing on gaming, you’ll need to invest in a powerful processor and graphics card so the PC can play the game without lagging while simultaneously streaming both footage of it and yourself. 8 gigabytes of RAM is enough for today’s gaming needs, but you should go for 16 or more if you plan on heavily editing your videos. More RAM makes video editing software better equipped to deal with more & larger files. In combination with a good CPU, it also significantly reduces rendering times. Videos shot at 1080p or more take up much space. You can start to address this by getting a single external hard drive like this 2TB portable drive from Western digital and invest in more as your archive grows. Eventually you’ll have a library of videos, outtakes, and assets, so it’s important to start organizing everything in these early stages. Content creation is at the heart of this age-old rivalry since both options have their pros and cons. Mac users have access to sophisticated video editing software like Final Cut Pro X and are preferred by millions of YouTubers because their workflow is more intuitive. They’re also less powerful and more expensive. Having a PC is essential if you want to game and you can get much more bang for your buck. There are many parts manufacturers to choose from so if you aren’t going for a pre-built PC or a laptop, you may spend much time deliberating on which components to use. If you don’t have a computer yet, consider getting a laptop. Laptops cost more than desktop computers with equivalent specs but offer productivity on the go. A laptop is essential if you’re a travel vlogger who wants to make their content presentable and send it out to their audience as fast as possible. Mac users can get one of the latest MacBook Pros while PC lovers get to choose from a huge list of models. 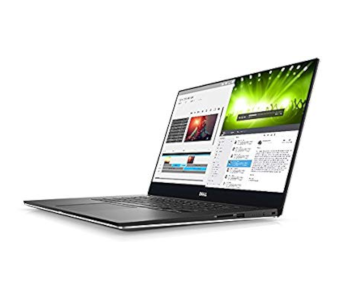 Dell’s XPS 15 is our recommendation. Once you’ve set up your creation station, it’s time to pick out a camera. Which type of camera you should go for depends on the type of content your channel is about. The cameras in today’s smartphones are good enough that you can create your first few videos with one. As your understanding and audience grow however, you’ll quickly realize that you need an upgrade if you wish to become competitive. What types of camera are there? DSLRs are the heaviest and most expensive models. 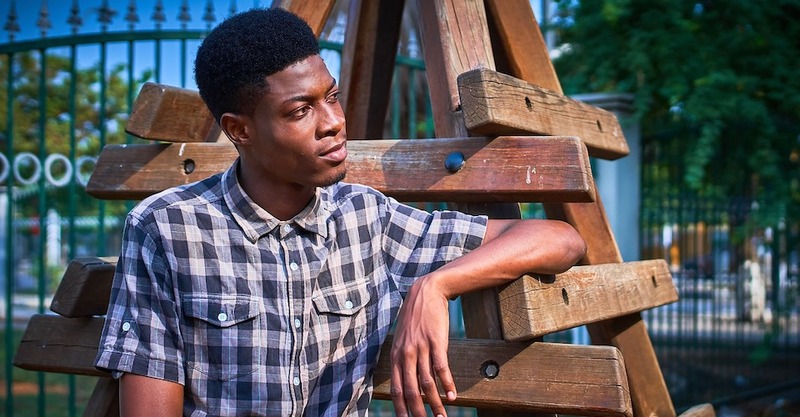 They’re used in professional photography but are a popular option among top YouTubers because of the exceptional quality of videos they produce. DSLRs excel at creating crisp video, even in poor lighting conditions. They can have powerful zoom lenses which come in handy when you’re shooting product reviews or cooking videos. 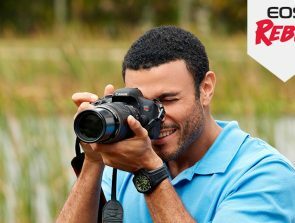 DSLRs also have optical image stabilization and quick autofocus that lets them track a subject smoothly. Canon’s EOS 80D and its predecessor the 70D are the most popular DSLRs for YouTube. They feature large sensors and capable processors that perform well in low light conditions. The 80D in particular is great for high-quality yet quick filming as it has intelligent white and color balancing along with a video preview mode and instant social media sharing options. 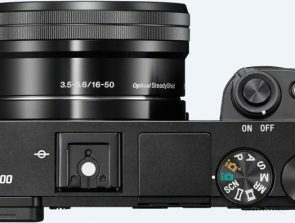 Mirrorless cameras are the most versatile camera type. Their performance is almost on par with that of a DSLR, yet they’re more compact and lightweight. Mirrorless cameras are a good fit for any kind of YouTube video. Vloggers who make much of their content outdoors in uncertain lighting conditions find them ideal. 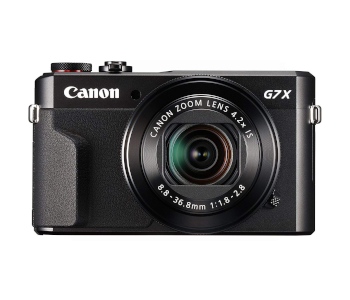 The Canon PowerShot G7 X Mark II is universally praised by both seasoned and beginner YouTubers. It has excellent optical image stabilization, a long-lasting battery, and you can have it at an attractive price. The Mark II is a great learning tool because its automatic white balance and ISO selection tools are accurate, yet you can quickly turn on manual mode to configure every nuance of what a video will look like once you have more experience. Camcorders pass under most people’s radars, yet getting one is a smart decision for new YouTubers. Their main focus is on video, which means you can get great-looking results without having to pay a premium for photography features you don’t need. Camcorders perform well both as stationary and handheld cameras thanks to good image stabilization. Panasonic’s HC-V770 is an example of excellent performance at a reasonable price. It shoots FullHD video at 60fps, has an intuitive control scheme, and can be controlled remotely with your phone. Even more impressive is its ability to connect with your phone’s camera and record its feed for a picture-in-picture view. You then get to apply basic retouching and cropping tools with a built-in video editor! Webcams are accessible cameras specifically designed to record a person as they’re doing something on a computer. They’re the least expensive camera type and their plug & play approach allows everyone to hook one up to their computer and start recording. Webcams are preferred by streamers since running them for hours doesn’t pose a risk to their internal components. The title of best webcam for YouTube goes to Logitech’s C922x Pro Stream. This pocket powerhouse has a built-in green screen function and takes a load off of your CPU by encoding the stream itself. Its quality is superb and you can expect the framerate to remain acceptable regardless of lighting conditions. Action cameras are specialty cameras created to record dynamic situations with a moment’s notice. They place heavy emphasis on portability and ruggedness without compromising video quality. This lets you take an action cam along anywhere and record adrenaline-filled adventures from your own point of view, making it seem like the audience is part of the experience. Action cameras are big among travel vloggers, sports enthusiasts, and other content creators who never know what the next moment brings. GoPro is the first name in action cams. 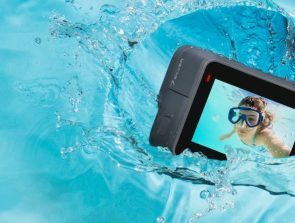 Their newest model is the GoPro HERO7 Black, a shock and waterproof camera with superb electronic image stabilization. It is capable of shooting 4K video at 60fps as well as creating time warps and time lapses at 1080p. Whether you’re catching a wave or speeding down a forest trail on a mountain bike, the HERO7 Black will record everything with silky smoothness while not letting sharp light transitions spoil the video. You can also stream footage directly with a button press. Unless you’re going for the shaky camera look intentionally, the videos you shoot need to be stable. No one’s going to stick around to watch the camera bob up and down as you walk. You’ll also need to figure out which camera angle to use to best bring out your features and need to be able to keep the camera in place. That’s why you need a gimbal or a tripod… or both! Gimbals are devices which stabilize the camera and minimize shakiness. They have a system of weights or motors which act to counterbalance movement in any of six directions. This results in smooth footage regardless of sudden movements or an unsteady hand. The Roxant Pro Limited Edition Stabilizer supports cameras whose weight doesn’t exceed 35 oz. It’s an affordable gimbal that keeps your camera stable while being easy on your arm thanks to a comfortable grip. There are also many video tutorials on YouTube on how to use it effectively. Tripods keep your camera in place while letting you pan & tilt it. They’re one component of your setup you should not cheap out on as a tripod that’s easily toppled can spell disaster for your camera and shotgun microphone. If you invest in one made from carbon fiber, your tripod will be both sturdy and lightweight. You’ll want to go for something like the K&F Concept TC2534. 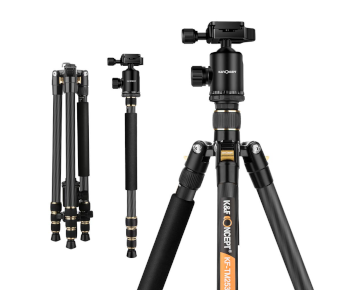 This robust carbon fiber tripod can extend to a height of 66 inches and has stable legs which quickly fold out. It can support a massive 22 pounds of weight and has a versatile gimbal which lets you adjust the camera angle in tiny increments. Camera manufacturers don’t consider onboard audio to be a priority, so even state-of-the-art models have mediocre microphones. You want your audience to hear the passion in your voice or experience what you’re hearing as realistically as possible and without noise. That’s why investing in a microphone is a priority. Again, which one you’re going for depends on the kind of content you’re making. What types of microphones are there? Headset mics come as part of gaming headsets. They’re a good choice if you need a boost in the audio quality of the games you play and don’t wish to spend a lot of money getting headphones and a mic separately. There are too many models to count so doing research before buying is advisable. If you want to skip that and follow our advice, go for the HyperX Cloud II Gaming Headset. For less than $100, you’re getting a premium headset which feels comfortable after hours of use. Its audio quality is superb as well. The microphone delivers clear audio of your voice while canceling out surrounding noise thanks to its cardioid polar pattern. Since the headset is connected to your PC via USB, recorded audio doesn’t suffer from feedback hums associated with using analog mics. Condenser microphones are the most common type of professional microphone. They’re hard to topple, deliver excellent recording quality, and have a headphone jack which lets you listen to how you sound live. They’re the most versatile microphones since they can have multiple polar patterns that change the area around the microphone from which sound is recorded. Their application is universal as anyone from gamers through voiceover artists to singers can find one which makes their voice sound amazing. The Blue Yeti USB Microphone is one of the most successful condenser mics. It has four polar patterns, letting you record yourself with a focused cardioid pattern and quickly changing to elliptical if you’re talking to a guest or omnidirectional if you’re streaming a jam session. The Yeti records voices in a warm tone and is easy to get started with since all of its software gets downloaded automatically when you first plug the mic in. Shotgun mics attach to heavier cameras like DSLRs. They drastically increase the quality of your recordings in two ways. First, they have built-in shock mounts which cancel noise produced by your equipment and can perform in windy conditions if you equip them with a deadcat. Second, they have focused polar pattern which let you record a conversation in a crowded open space while canceling out everything else. 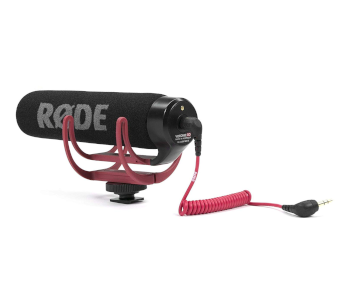 Rode’s VideoMic GO embodies everything a mobile beginner YouTuber needs to record high-quality sound. It is light and portable, performs well in harsh conditions thanks to its Rycote Lyre mount, and draws power directly from your camera. Lavalier or lapel mics are perfect for YouTubers who make videos at events or often find themselves with company and need a dependable backup mic. You attach these unobtrusive mics on your person and can behave more freely without worrying if your audience can hear you. Rode SmartLav+ can record a person sitting next to you or half a lecture hall away with perfect clarity. It excels at capturing voices while keeping background noise to a tolerable minimum. The microphone draws power from your phone or computer directly. If you’ve got an iPhone, you can select the bit rate at which it is recording as well as tinker with an equalizer and playback speed through a companion app. Proper lighting can make the difference between a video that one could mistake for a movie and someone’s first amateurish try at content creation. Setting the scene up in a way that showcases you, the environment you’re excited to share, or a product you’re presenting is an important yet often overlooked skill. Fortunately, the basics of lighting YouTube videos are easy to pick up! What types of lights are there? Softboxes are lights encased in a box which disperses the light evenly with a silver background and then diffuses it. The resulting glow simulates daylight and produces soft shadows which are easy to manage or eliminate altogether. They’re a standard tool for YouTubers who make content about design and food or who do product reviews. If you invest in the LimoStudio 700W Photography Softbox Light Lighting Kit, you’ll get two softboxes along with their carrying cases, adjustable stands, and power cables. The softboxes are placed on top of stable stands which let you rotate them 270 degrees. They give off natural-looking white light and pack enough punch to professionally illuminate any subject. Umbrella lights are more versatile than softboxes since you can adjust how sharp the shadows they cast are by manipulating the umbrella’s position. They’re less focused though and will light up a room completely. LimoStudio makes umbrella lights too, and their 600W Photography Umbrella Lighting Kit is all you need to create a three-point lighting setup. There are three lights, two umbrellas, one smaller and two larger adjustable stands. You also get protective cases for the lights and umbrellas. Not bad considering you’re paying less than $60! Ring lights are responsible for the iconic halo you see on YouTubers specializing in makeup & beauty videos. They bathe the subject’s face in soft light that removes blemishes without overexposing parts of it. A camera can be attached to the center of the ring light to create an even light source at the center of your shot. 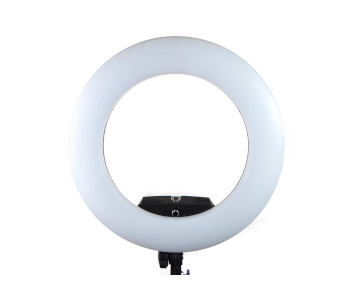 The Savage Luminous Pro LED Ring light Plus combines portability and convenience with in-depth customization. You can carry it to record on location and shoot for 2.5 hours before the batteries are depleted. There’s a gimbal at its center which lets you fine-tune the camera’s position in relation to the light. Controlling the Pro Plus is easy too since it has a large LCD display that shows the adjustable color temperature and brightness level. 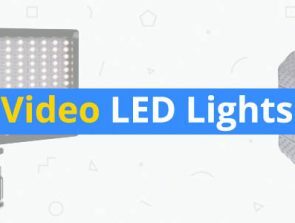 On-camera LED lights are a godsend for YouTubers who film in the open and can’t count on the weather to remain favorable throughout the shoot. They’re made up of hundreds of tiny LEDs with different color temperatures. Such lights draw little power while being bright and can be turned on for hours without becoming hot. Genaray’s LED-7100T does well both as an on-camera light and as a filler light thanks to gimbal and tripod mounting options. It takes two batteries you can recharge through your car battery but only needs one. You’ll always know how much juice is left since the battery level is displayed on the back via an LED indicator. The LED-7100T puts out 1,400 lumens of light, which is respectable for such a small light source. Once you have all the hardware to make your raw footage turn out well, you’ll need software to edit and publish it. The first kind of program you should be looking at is a video editor. If you’ve never edited videos before, you’ll want one that’s easy to use for the beginner but which lets you do more advanced editing once the training wheels are off. 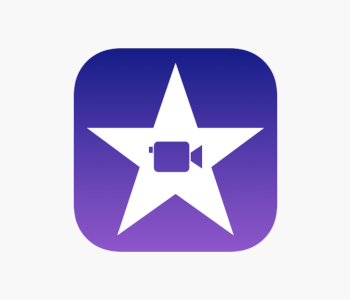 iMovie and Adobe Premiere Elements are examples of beginner-friendly video editing tools. Both programs feature an interface that’s easy to grasp and tutorials that will get you started. More advanced users turn to Adobe Premiere Pro CC and Final Cut Pro X. These are the most powerful video editing programs available today and are used by filmmakers and YouTubers alike to make world-class videos. Streamers will need a program that handles how their stream looks and behaves. X-split is the best-known premium game-streaming program which has a powerful free alternative in OBS. Both programs let you shape the screen by incorporating and arranging multiple inputs. They also come with built-in equalizers so you can tweak audio output on the fly. Game streamers will need to take an additional step before they’re all set – they’ll need a screen recording tool. PC gamers can record their screen easily with programs such as Fraps. Those interested in streaming from a console will have to invest in a capture card like the Elgato Game Capture HD60 Pro.